Treat them to a taste of autumn with our fall gift baskets. Send a fall basket packed with sweet surprises or savory fall food gifts full of flavor. They’re perfect for sharing all season long. Fall is a time for family and you can kick off the upcoming holiday season right with a wide range of fall food gifts for your loved ones. 1-800-Flowers has you covered with tantalizing fall gift baskets to send beloved family and friends or satisfy your own sweet tooth. 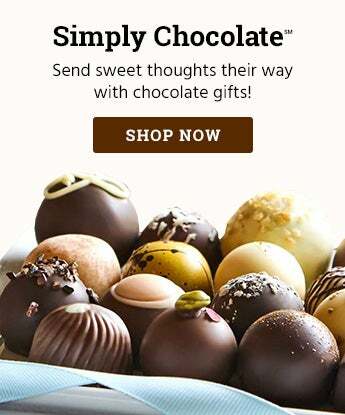 You’ll have no trouble finding the perfect fall basket or fall baked goods to surprise any recipient, thanks to delectable gourmet chocolates and an incredible array of sweet and savory delights. When it comes to seasonal gift baskets, you can’t go wrong with succulent fruit baskets, but you could also choose fall gift baskets stuffed with meats, cheeses, and non-perishable snacks to enjoy throughout the season (if they last that long). Savory snacks hit the spot for some, while others prefer sinfully decadent chocolates or mouthwatering cookies or cakes. You can even send a bounty of warm beverages like cocoa or tea, or options like wine that simply warm you up when the air turns chilly. The perfect gift basket for every recipient is waiting to be ordered and sent off to pleasantly surprised loved ones in need of an unexpected boost. Choose speedy delivery options like same-day delivery that can get many items into your hands or winging their way to recipients in no time.